Representing the high-point of luxury and performance, the 2017 Mercedes-Benz E-Class sedan is available to Orangeville and Greater Toronto Area drivers in seven immaculate models. 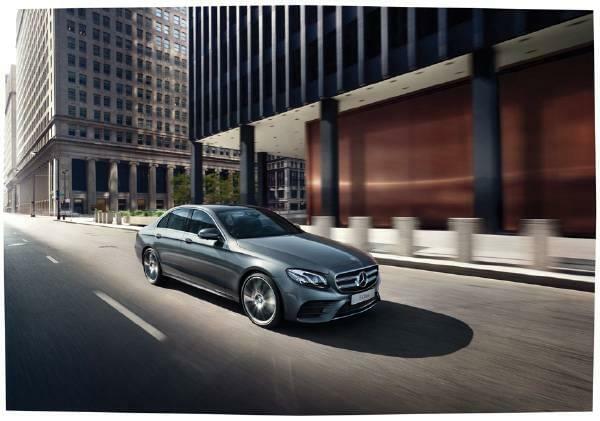 If handling, fuel-efficiency, and sophistication are non-negotiable for you, the E-Class won’t disappoint. We at Mercedes-Benz Brampton (located in the Greater Toronto Area) can’t wait to introduce you to our remarkable E-Class inventory! Whether you opt for a luxury or sport styled 2017 Mercedes-Benz E-Class sedan, you’ll enjoy characteristically suave and pointed handling from start to finish. 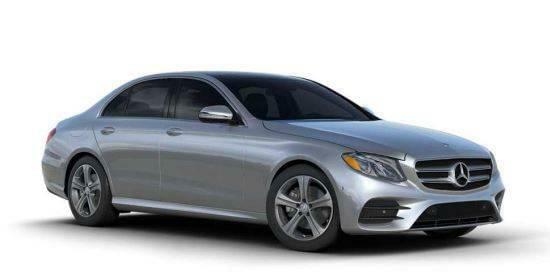 Though each E-Class model is unique, a 7-speed automatic transmission, electromechanical power steering, and finely-tuned suspension, are handling essentials. Each member of the E-Class also offers or comes equipped with 4MATIC® all-wheel drive – designed to augment driver control and tire grip in all types of weather. Whatever your preferred driving style, be it relaxed or controlled, the upscale E-Class sedans make every ride a pleasure. The interior of the Mercedes-Benz E-Class sedan embodies a sense of cool extravagance. The luxury and sport styled models are both furnished with hand-polished wood accents and hand-fitted MB-Tex or Nappa leather upholstery, as well as 14-way power-adjustable front seats with memory. Sprinkled throughout the interior are numerous comfort and convenience features. such as dual-zone digital automatic climate control, HomeLink™ garage door opener, multi-colour ambient lighting, and more. To top it all off, a standard COMAND® system with a central controller overlooks the cabin, and offers quick access to Bluetooth®*, audio controls, available COMAND® navigation, and much more. As well as the must-have safety systems, such as 11-way airbag protection, anti-lock brakes, an Electronic Stability Program, and more, standard driver assistance technologies also play an indispensable role in occupant safety. ATTENTION-ASSIST®, for example, monitors drivers’ behaviors on long trips. Concurrently, COLLISION PREVENTION ASSIST PLUS® uses radar-based technology to alert drivers of oncoming vehicles, while BAS® aids in emergency braking. If standard PRESAFE® senses a collision is unavoidable, it takes preventative action by tightening seatbelts, adjusting seats, and closing windows. 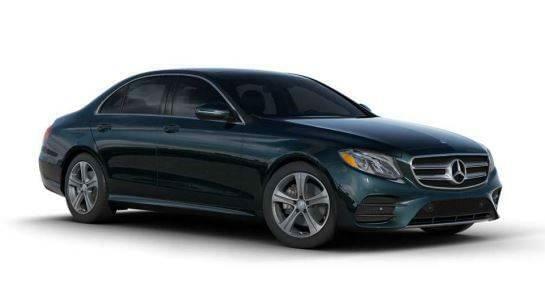 The E400 4MATIC® Sedan takes the athleticism of the E400 Sedan a step further with standard 4MATIC® all-wheel drive, and relies on 4-ETS® to evenly distribute its 354 lb-ft of torque to the drive wheels. Not to mention, this sedan eagerly takes on rougher terrains while earning a sensible 11.8 city/8.4 L/100 km highway rating. 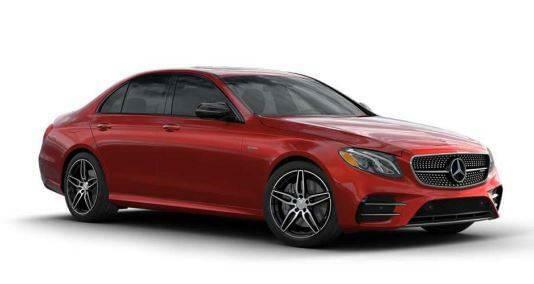 AMG® E63 S 4MATIC® Sedan includes 396 hp, 384 lb-ft torque, 13.1/9.3 L/100 km fuel economy, 3.0L biturbo V-6 engine. E400 4MATIC® Wagon includes 329 hp, 354 lb-ft torque, 3.0L biturbo V-6 engine. Choose Your 2017 Mercedes-Benz E-Class Sedan! If you’re shopping for a performance sedan near Orangeville, make Mercedes-Benz Brampton your preferred dealer! To schedule a test drive, contact us from 9 a.m. to 8 p.m. Monday through Thursday, from 9 a.m. to 6 p.m. on Friday, or from 9 a.m. to 5 p.m. on Saturday. Our dealership located in the Greater Toronto Area at 10 Coachworks Crescent in Brampton, ON!